While crocheting, especially in the crochet crunch time leading up to the holidays, your body may begin to experience crochet fatigue. 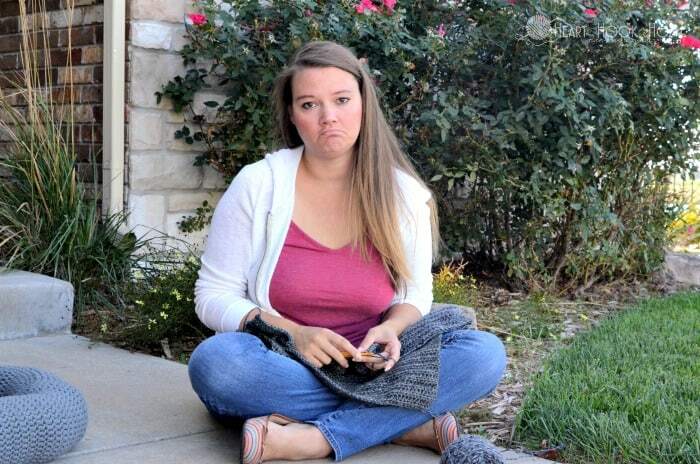 What in the world is crochet fatigue, you ask? If you experience a sore neck, sore shoulders, sore elbow, or sore hands after a crochet binge then you, my friend, are experiencing crochet fatigue. 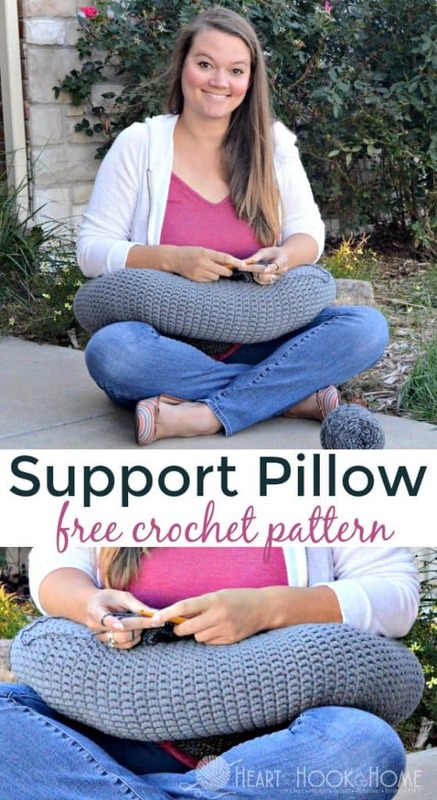 Which means you need a pillow support for crochet! 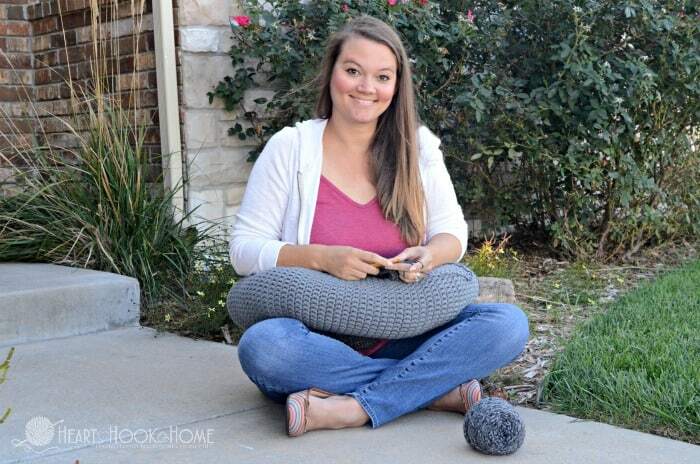 Before we get to the free crochet pattern for the pillow support, let’s go over the WHY you get crochet fatigue and some basic stretches that will help you crochet longer and more comfortably. If you watch the weekly LIVE videos on the Heart Hook Home Facebook page, you’ll know that my sister, Dr. Meadow, is a professor of anatomy at a prestigious chiropractic college. She is also a knitter, crocheter, and general crafter. A BIG thank you to her for explaining what muscles/nerves we are straining as we work and how to strengthen said muscles (even if we can’t pronounce them). Ha! The deep neck and upper back muscles that take the brunt of the abuse of crochet fatigue include: trapezius, rhomboid major and minor, levator scapulae, splenius capitus and cervicis, semispinalis cervicis and capitis, erector spinae group cervical and capitus portions (longissimus and spinalis in particular). Many of the forearm and wrist movers (flexors, extensors, and rotators) originate just above the elbow. The fast and repetitive twisting motion of crochet means that these muscles can become inflamed. Stretching these muscles and varying their movements can get the blood flowing and relieve tension on compressed nerves. The continued and prolonged forward head translation (hanging your head to see your stitches or to play with your cellphone etc) can cause problems on the front side of our bodies, too. Compression of the nerves and vasculature to the arms leads to tingling, a dull ache, pain, and loss of strength in the arms (usually on both sides in this case). Also, since the muscles on the lower front of the neck help to increase the size of the rib cage when we breathe (especially deeply), it means reduced volume of breath and less oxygen to your tissues. 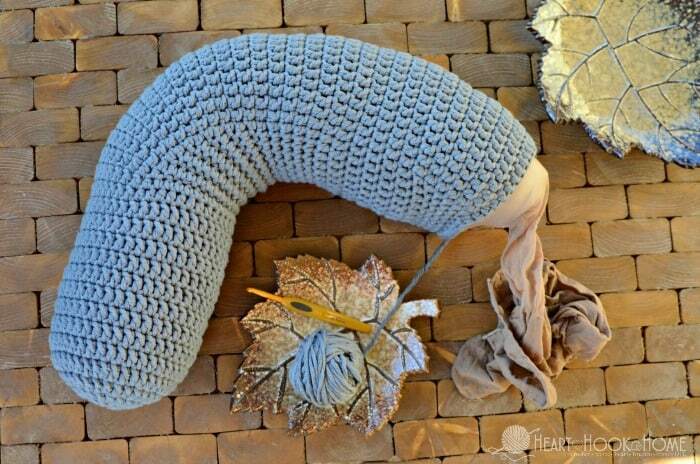 Finally, all this repetitive and compressive strain of crocheting, sitting too long in one position, etc, can remodel the bones over time so that they become unable to realign properly. That puts pressure on neurovasculature (arteries, veins, nerves) leading to pain, numbness, tingling, bad skin tone and texture, loss of strength, etc etc. Thanks, Meadow! Now let’s discuss what we can do about it, mmmkay? Wall Angels will help to strengthen the upper back and shoulder region. For this exercise you will stand as straight as possible with your back against the wall; shoulder blades touching the wall at all times. Bend your elbows and raise and lower your arms as you would to make a snow angel in the winter. This strengthens the muscles which support your neck and head. Forearm stretches will help to alleviate the crochet fatigue in your arms and elbows. Place your hands flat on the wall and stretch those muscles out. Take a break! I know, I know. TRUST ME, I know. 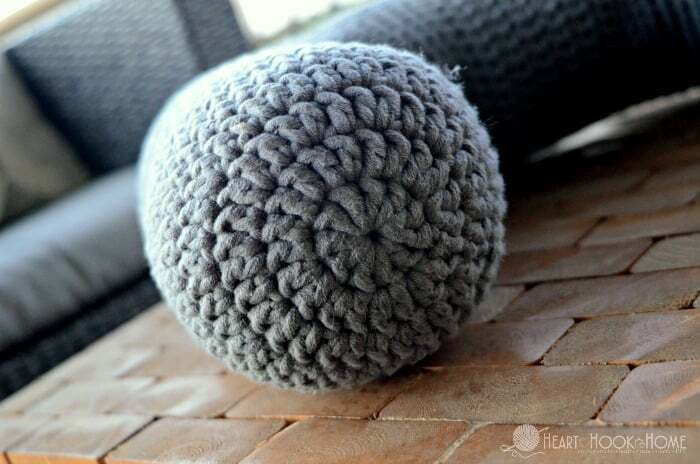 You get in a crochet groove, your behind is molded your chair, and you’re knocking out that project. If, however, every time you get up to get a drink, to use the restroom, or to tend to the kids or pets, take a few minutes to stretch those muscles out and you’ll be able to crochet longer and more comfortably! The chain at the beginning of the round does not count as a stitch. The first stitch of each round is made in the same stitch as join. I used the yarn under method of starting each row to help keep the seam from migrating. The few slip stitches across the curved portions also help keep the pillow from twisting. Get the ad-free, printable PDF of this pattern here. Finish stuffing and fasten off leaving a long tail for sewing end shut. You. Are. Done! 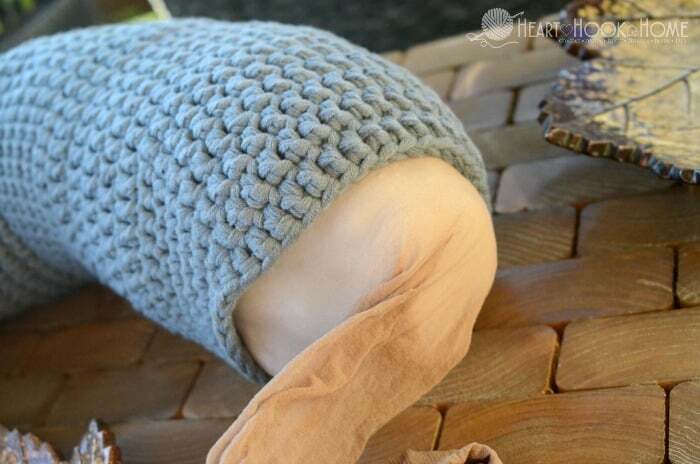 This support pillow will help eliminate crochet fatigue, but also remember to take breaks and to work your stretches. Crochet on, friends! Hi Pam! If using 4 weight, I would double strand it and follow the pattern as written. I found this pattern from the new traveling pillow pattern that you posted! I don't remember seeing it before but was thinking of buying a boppy nursing pillow for this exact problem. 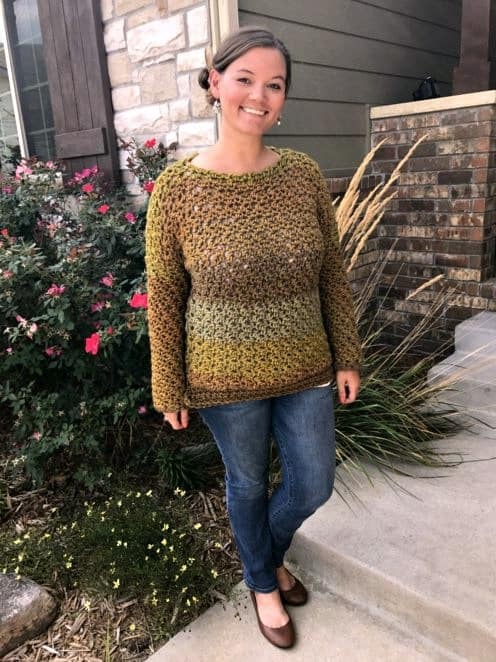 I was THRILLED to stumble upon this pattern! I think this is going to work out perfectly for me!!!!! I read in comments above about how to do the yarn under method... BUT when you say "I used the yarn under method of starting each row to help keep the seam from migrating." Does this mean that you did this on the slip stitch to join, or on your first stitch of the new row or the chain to start a row? I want to try to do this correctly. Thanks a bunch!!!! Hi Emily! I do the yarn under on the slip stitch to join. Thank you for the pattern and exercise tips. Thank you Dr. Meadows for the explanation. I love my chiropractor and visit monthly. She adjusts my wrists also and that is very helpful. Hi from Canada Alberta. I'm making your support pillow total yah. So my questionschedule are. Did you extend if so how many more rows? How much would you charge for this thanks for making this I to free and just yah I'm at half way mark on the extended part after round 33 to 37 thanks! Hello Bernie! I crocheted mine exactly as the pattern states, but if you want to make it larger I would add to it in the middle portion. I'm thinking about $40 to crochet one? You could use the stuffing out of an old pillow to save on the cost of polyfil. We use our pillows here lol I just make the sleeve of it and they can stuff it lol if I ship it out anywhere. I made it the way you had it. Tried it but find it to big in hiegth for me so I sighs ripped it out and went to only 1 increase round I'm on the first bend. I'll post when I'm happy with it. Ty for replying back! Hi Linda! Normally with yarning over, you bring your yarn over the hook from back to front...with yarning under, we are bringing the yarn over the hook from front to back. This is done to help keep the seam from migrating. Hope that helps! Can you share your “yarn under” method please? I would suggest to those who are having printing problems that they copy and paste the pattern to a Word document and print from Word. That way, you only have to print the portion that you want. Thank you to yourself and sister for this information. I suffered a serious RTA back in 2005, in which I damaged my back. I’ve been crocheting on and off for about a year now, but I do find that I end up in a lot of pain, so I’m hoping that this pillow will help me out. Many thanks once again. I was wondering the same thing! I’m new to crocheting so not familiar with all lingo. I want to thank you and your sister Dr. Meadow's for the great advice. I have been getting shots in my upper arm near the shoulder. For horrible pain in that area and now I am getting the same pain in my other shoulder. So aim going to try those excises and pray that they help. Also I'm definitely going to try make that pillow. I am a new beginner to chroching. Why is it so difficult to print out the pattern from this site. It is not only this site, but sites that want you to download a site, that you dont need, in order to get to the pattern. Why not have a print pattern or article or both. I have adobe so I do not need another site or more websites to obtain a pattern. I like the pattern and the article but can only read it on the computer screen. For me this is not good, in that I dont like to sit at the computer to crochet or Knit, and most articles I like to read at my leisure and not rush to read. I agree with Linda. A "print friendly" button would help a lot. Nice pattern and great advice. Thanks. Can you put a print button on your patterns please? I don't always have time to crochet when I receive a new pattern that I like. Thank you in advance. And also, thank you for the great and helpful excersizes you've given us. This is great, thanks so much to you and your sister! 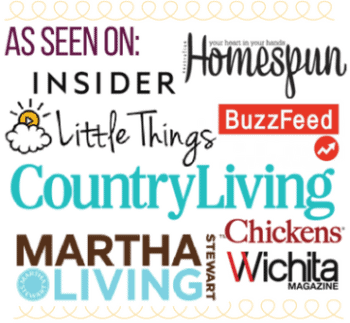 This was a very interesting and informative article! It will be very helpful for many of my friends who experience these issues, and not just while crocheting! I can think of many areas of our lives where we put this pressure on our bodies. Thank you for sharing this.